If you’ve been keeping track on twitter then most of you will know that yesterday evening (October 29th) at around 5 PM local time. 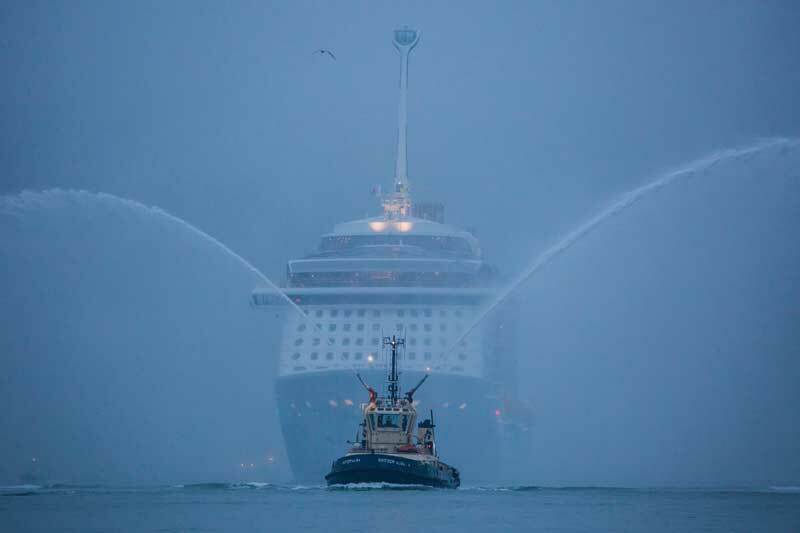 Royal Caribbeans newest cruise ship Quantum of the Seas arrived into Southampton, UK. It wasn’t just any arrival it was the arrival of one of the mos innovative ships ever and the most talked about highlight of 2015 within the cruise industry. Sadly the when the ship arrived it was under heavy fog and was hard to spot from a distance. Below is a photo taken by twitter user @LinerLovers which Cruise Hive follows and if it wasn’t for the vessels lights would the ship of even be spotted! So who can actually see the ship? Let us know in the comments below. 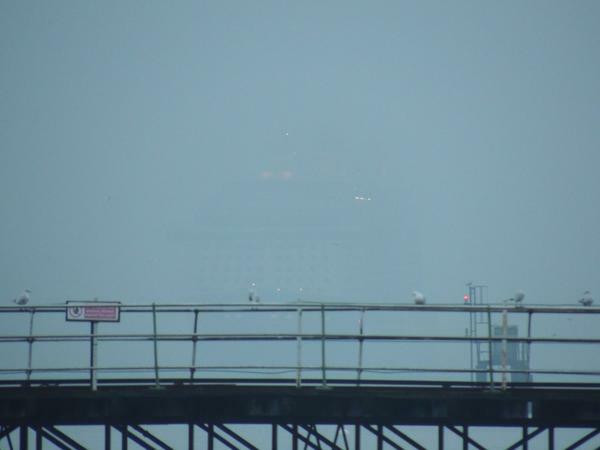 We can just about see the lights as Quantum of the Seas enters the Southampton port. A tug boat also welcomed to ship by firing water which is traditional for a new ships arrival. Large crowds watched the vessels arrival before it departs on its first official cruise on 2nd November. The ship will sail a transatlantic cruise to its new home port in New Jersey. Before that there will be two short voyages for travel agents and cruise professionals who will be the very first people to try out Quantum of the Seas new innovative features. In case you missed the ship’s arrival our friends at RCI Fans have posted a video that shows the arrival and docking of the 167,800 ton ship. Quantum of the Seas will be christened on November 10th in Cape Liberty, Bayonne, New Jersey and will also sail its inaugural cruises from there. Then from May 2015 the ship will re-position to Shanghai, China. Quantum of the Seas has just been delivered to Royal Caribbean from the German ship building company Meyer Werft. Another sister ship Anthem of the Seas is currently being constructed by the same shipyard and will be completed by April 2015.